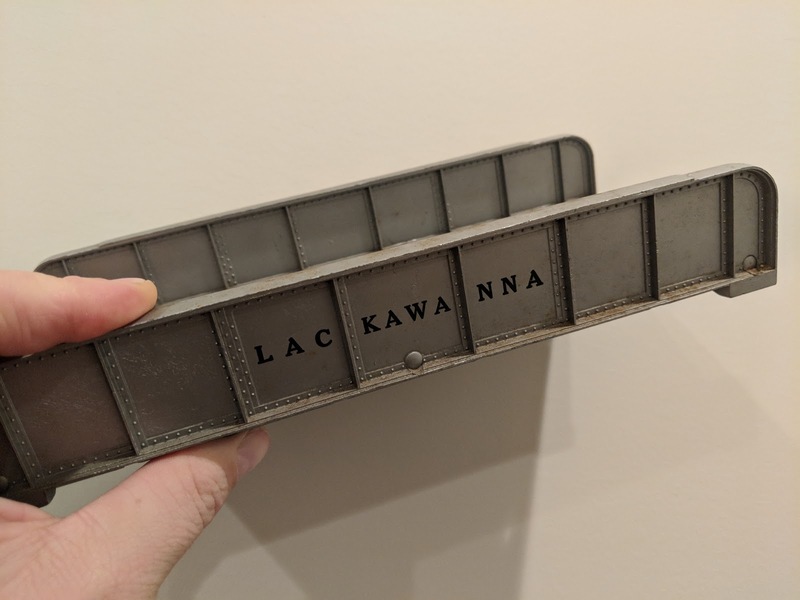 I picked up this Lackawanna girder bridge at the same Christmas train show that I bought the Plasticville Town Hall building earlier this month and we are going to add it to the Mantleburg line this week. This isn't a Lionel part, but rather this is made by American Flyer. 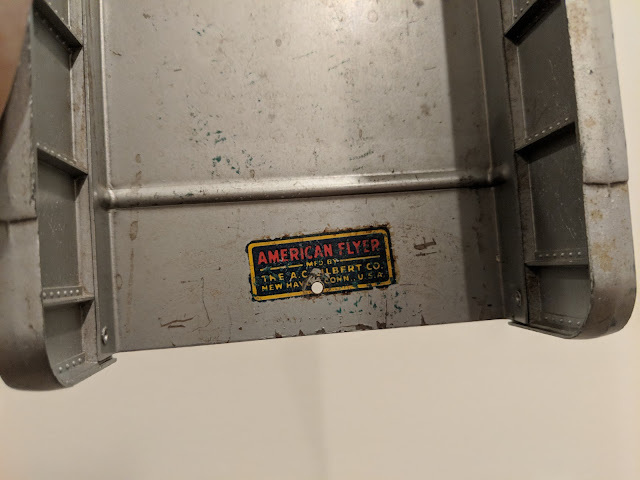 I think this might be the first American Flyer part that we've acquired. It was just $5, but looking at the various listings on Ebay and Etsy, they're mostly listed for between $40 and $50. So...thinking we scored a deal. The sticker itself is cool, right? Shows it was made by The A.C. Gilbert Company in New Haven, Connecticut, USA. Who knew...but...The Gilbert Company invented the erector set! They owned American Flyer from 1938 to 1966, but I can't quite figure out when they put out this bridge. From the sounds of it, I would guess it happened sometime after the 1946 post-war startup and like the mid-1950's when things slowed down before their founder died in 1961. We have a large span truss bridge with a blinking light that we run in Mantleburg, but this will be our first girder bridge that I think can run anywhere - even if there isn't a span we need to cross, right?